How old is Will Smith? 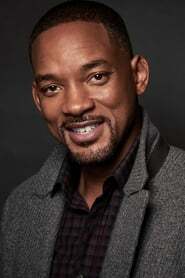 Will Smith was born on 25 September 1968 and is 50 years old. Where was Will Smith born? Will Smith was born in Philadelphia, Pennsylvania, U.S.A..
How many movies has Will Smith been in? Will Smith has been in 51 movies . How many TV Shows has Will Smith been in? Will Smith has been in 32 tv shows . How many TV Shows has Will Smith directed? Will Smith has directed 1 tv show . How many TV Shows has Will Smith produced? Will Smith has produced 3 tv shows . How many movies has Will Smith produced? Will Smith has produced 18 movies .